Freddy is so nice, he helped us right away. My high schools senior night was the very next day and he was able to set us up with 8 dozen roses within half an hour. Each flower was gorgeous and I would recommend this place again! 10/10 ! Beautiful flowers for beautiful lady! What else can we say! Thank you so much! I was looking for a flower shop around Costa Mesa to get a nice bouquet of flowers when I found this nice little florist shop. When I came in, I was instantly greeted by Freddy who was very friendly and accommodating. 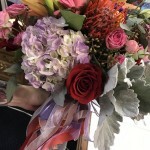 He ran through all the flowers and helped me customize a beautiful bouquet for my girlfriend. He finished the bouquet in about 5 minutes, and it was absolutely gorgeous. I will definitely come back here for future bouquet purchases. Twice as nice ! So many repeat customers we must be doing something right! Tell your friends! We are the largest in Newport and even Socal! Come again its fun! Freddie was amazing!! He was so accommodating and helped me with everything I needed! Thr shop hsd so many florals to offer and beautiful centerpieces. What a great crew they have. Thank you so much for making my bridal luncheon beautiful. Walk in welcome! Just come on by and I will make you anything you want fast and less than half the price Jerlee all the other floors in the area! Our flowers are top quality farm fresh, our designers have over 100 years experience combined, most have on their own shops at one time or another! Thank you for your kind review for being a new customer I look forward to seeing more of you in the future! 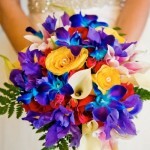 Awesome wedding flowers! We had submerged orchids in cylinder vases. Followed with lights inside the bases with glass rocks. We also had toppers for the vases. Great service overall and really out did themselves. The fake diamonds in the bouquet was fantastic. Gorgeous flowers! 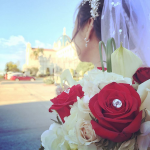 Your wedding flowers were simply amazing! Orchids orchids orchids! The diamonds in your bouquet were over the top, Freddy and Herbert really kicked it out for you guys! Good luck in your marriage and congratulations! We’ll see you again soon don’t forget to tell all your friends about us! 70% of our brides are from personal referrals, we love it! 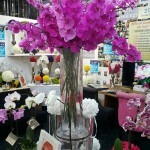 PS- we just were notified that we WON “Wedding Florist of the Year” – again! Enjoy! Herbert was beyond helpful and professional. His work is exceptional. He went above and beyond our expectations. We trully appreciate the time and love he put into all of our flowers. I couldn’t be any happier! With thousands of happy delighted brides over the past two years it’s no secret why we win every award possible in the industry, now of course you’re the most beautiful bride and I must tell you Herbert and Freddie did an amazing job on your wedding flowers, Herbert the head designer is the best in the business with over 50 years experience, Fred Buys all your flowers directly from the Farms to get you the highest quality Best and most beautiful flowers in the marketplace! Thank you and congratulations! This was my first time in the store !! I’ll definitely be coming back. Freddy made me the most beautiful arrangement of flowers so lovely and colorful!! I stopped in to grab some flowers for a friend. I’m so happy I found them on Yelp! They gave me dozen roses for myself! Excellent customer service and personal one-on-one relationships is the key to success in any business. What we need a new customer you want to make sure that We exceed their expectations and Give them amazing value, we pride ourselves on the freshest quality flowers, and after 53 years of being a family owned business we certainly know how to treat a customer with respect kindness and caring, thank you for your business and your kind words. Freddy out did himself again with such a beautiful bouquet for my wife’s birthdays surprise today, I shop here all the time with great success and beautiful fresh flowers!!!! Go see Fred he is awesome designer and gives great deals !@! Freddie is amazing! 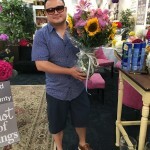 He has received more five star reviews that any florist in the industry! 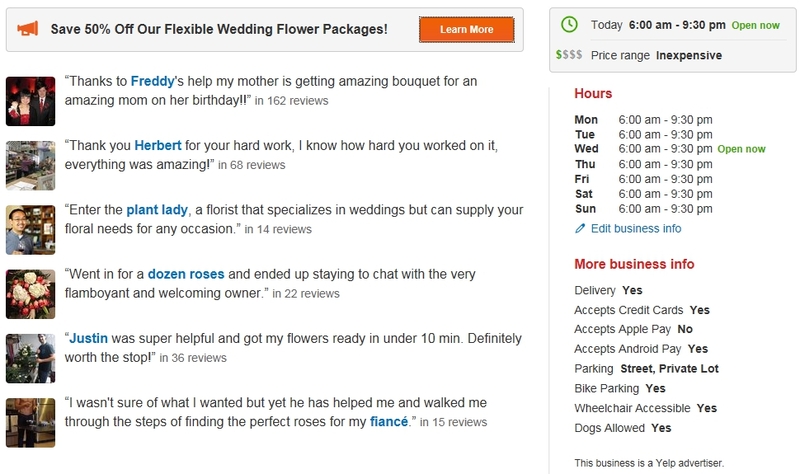 Last week yelp notified us that we are the number one top rated florist country, with more than 505 star reviews! Thank you for your business and your kind words, Natalie. Freddie was amazing! Super nice guy and helpful. They even did our arrangement in 15 minutes! This is my 2nd time back and I’ll be sure to be back. 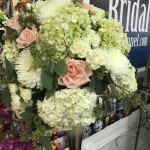 800rosebig is the largest florist in southern California! Excellent customer service, friendly staff, top quality flowers, and the most amazing designers anywhere is a winning combination! With over 500 reviews here on yelp five stars, we leave the country and are number one on YELP! Freddy and Herbert are the best! My bride bouquet was so beautiful that my wedding coordinator took pictures of it to show her other brides how amazing 800 Rose big is! My wedding was at Marabella country club and we had the best time I definitely recommend Marabella it’s a beautiful place and the service was excellent. What’s so amazing about my flowers were that they got me out of season peonies for my bouquet and beautiful orchids. The flowers were so fresh and beautiful my mom took one of the centerpieces home and it lasted a week. I’m so glad I found them on yelp and I’ve already recommended them to two of my friends that are getting married next year. 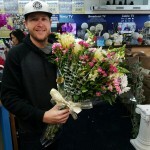 They have a very big store with lots of flowers and when I came in two days before my wedding to preview my flowers Herbert took me into the cooler and we picked out gorgeous flowers how do you made my bouquet on the spot just perfect. Freddie went and got a gorgeous glass vase and started working on my centerpieces, they came out fantastic Plus he gave me a free upgrade at the last minute a beautiful tuber roses which smelled so beautiful so not only did my centerpieces look great but they smell beautiful. Overall we had a fantastic experience with 800 Rose bag and I highly recommend them to all the brides here on yelp! Amazing beautiful flowers for your wedding! Last year we did over 1000 weddings and parties, making us number one the country! We are now the largest wedding florist anywhere, and the wholesale to the public pricing is half the price of our competitors! Our staff combined has over 100 years experience, qualifying them to create beautiful floral arrangements for every brides particular needs. We are highly recommended by all the top venues, wedding coordinators, and 70% of our brides come from personal referrals from other brides. 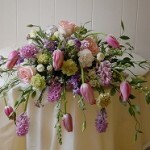 If you want amazing wedding flowers, had a great price, you must come and see us. Thank you for your kind words and great review! Great experience! The owner is very talented. We went in as a walk in and he helped us out right away. Most talented staff and designers anywhere in the country! 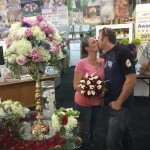 Winning wedding florist of the year 15 times is an amazing accomplishment for us. Brides are not easy, it’s a tough business, but we do our best to Please them and our success is well-documented. Thank you for your kind words and your business I look forward to seeing you again! My wife and I got married this past Saturday in San Diego. 800RoseBig cane through with flying colors. Between our appointment to get our vision off the ground, to our follow up, and the day of… they were with us every step of the way. 100% exceeded our expectations of what we thought we were getting for the amazing price. Our arch piece blew my mind of the size and detail. All our tables shined with floral! I was thrilled to add some bells of ireland to my boutonniere… that personal touch was well received. I have personally recommeneded them to my friends who just got engaged and recommend them to anyone else who wants to have a stress free floral experience! 70% of our brides come from personal referrals from other brides, and we Thank you for your kind words and your business. Congratulations on your great day! I think you’re review speaks for itself, and it’s typical with so many happy brides throughout year. As you know it’s not easy pleasing all the brides, some have unrealistic expectations and can be very difficult and demanding. This was of course look look not the case with you, your wife is a classy lady and a pleasure to do business with, we wish you all the best in your new marriage and for supporting 800rosebig! I love Fred’s fresh flowers! He always has the best colors and best arrangements. I always get 2 dozen roses for my cute little place. The arrangements are divine and so is Fred! Freddy is so amazing to each of his guest and all of his brides! The arrangements he makes are one of a kind and out of this world! His flowers make me smile and smells so delightful. His service is world class and the flowers are impeccable. Beautiful flowers for beautiful lady! Just look at them! Fantastic, love all the pictures here on Yelp! Reviews like this with pictures really tell the whole story at the truth! Thank you for your business I look forward to seeing you again and again and again! As the premier wedding florist in the country, we are happy to announce that we were just notified that we have one wedding florist of year for 2016! A great honor for our company. 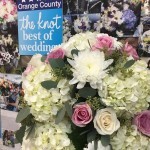 We have received more votes than any florist anywhere, and in addition brides from San Diego to Santa Barbara all voted us number one wedding florist. We are pleased to make your flowers beautiful and amazing and Thank you for your kind words and great review, recently we were notified by yelp I wanted the supervisors that we are the number one wedding florist on yelp with more five star reviews than the country! Over 500! We’re so proud of this and happy to please so many brides in the area. My wife and I got married on Sept.12th, 2016 in Temecula. We had a florist who seemed a bit shady. With a month less to go before our big day, we were at a crossroads with a florist. 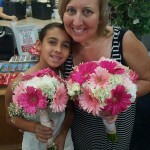 We live in Las Vegas so finding a florist on such short time was a challenge. Buy luck, we stumbled upon 800Rosebig website. Its a very loud site with graphics and sales and Freddy on video is a character lol. So we gave them a call and told them the dilemma we were in. A month out, no florist. We told him what our last quote was from the last florist. In cool, crazy Freddy form, he offered that he can do it. He can make our flowers the way we want and would match our price. We were shocked and extremely happy. Freddy is a very kind man and has great customer service. He wanted us to email him pics of what we want and guaranteed us that we will get what we want and even more beautful. We put our trust in him and his florists to come through for us. Not living in Cali and not being able to see what they would like in person before our big day was nerve racking. We must say that not only were our flowers exactly what my wife wanted, they were beautiful and exceeded our expectations. Freddy had told us Herbert was the man in charge of putting our arrangement together. Herbert was incredible and we give a big shout out to him. Thanks so much for the incredible flowers and helping in making our special day beautiful. We will use 800Rosebig again for sure. 5 Stars for Herbert! Herbert is an awesome florist and he worked within our budget to create some gorgeous arrangements! We wanted to use the centerpieces as aisle decoration so he gave us the idea of bringing in some wide-mouthed mason jars that he would tie some string to so we could hang them from the aisle chairs. They worked perfectly! I used these guys for my wedding. 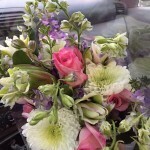 I can be very particular and most of the other florists we met didn’t seem to want to deal with my perfectionism. I’m so glad I found this place! They really have an eye for detail. Made me feel like I could relax and the flowers would be perfect. And they were! Super pleased again with the wonderful service and beautiful flowers I just got. Freddie is truly the nicest guy. I did a little surprise birthday party. 800 Rose big again gave me a great deal on beautiful centerpieces for my new bride birthday! So far I’ve recommended them to two of my friends that got married one at the Ritz Carlton and Hotel Laguna this year and the flowers were beautiful at both! I really love the way Herbert makes centerpieces and glass fishbowls The hydrangea for antique green and the roses were white garden roses that was so beautiful they smelled up the whole house like for a few days. Thanks again Freddy and Herbert for making my wife special day again an amazing experience and good luck with your new TV shows on bravo channel we watch them now and you guys are so funny it’s really cool! 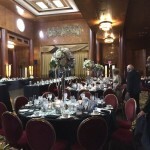 I just recently got married at the Queen Mary in Long Beach, and I was looking for a florist that would be able to handle such a huge and complicated venue. The ship has a lot of strict rules and guidelines to follow as far as when setup is allowed and what is permitted inside the venue. When I explained this to George (the amazing florist and designer that manages 800RoseBig), he knew EXACTLY how to handle everything for the Queen Mary. George was AMAZING. Not only did he go above and beyond in order to help me, but he also put together the most gorgeous arrangements I’ve ever seen. I told him how I had pictured my dream wedding, and he was able to turn that dream into reality. I could sense that George truly loves what he does as it is evident in his work. 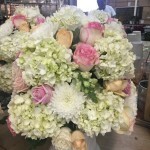 If you’re looking for a professional who will get the job done and put a huge smile on everyone’s face, I highly recommend to go talk to George and allow him to help you design the floral arrangements for your wedding or any special event. George, if you ever read this- THANK YOU SO MUCH! This business did our flowers for our wedding in San Diego. I was very particular with my flowers and our centerpieces and we stopped by a couple times to get quotes and to choose our flowers. We chose roses, hydrangeas and lilies. Little did we know that we chose the most expensive flowers. Our consultation was great. We got to listen to Freddie and his recommendations. We ended up with both high and low centerpieces and rented the vases from them. 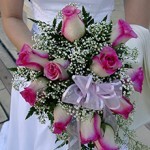 Our bouquets, table decor and flower decor was also included in our package. 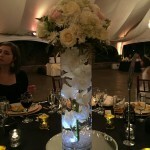 We came back another time to see samples of our package and we decided to upgrade our low centerpieces to a larger piece. Upgrading costed us, however. Everything came out beautiful and fresh. The only sucky thing is that they only deliver to 1 location. We got married in San Diego and they are very limited to their deliveries in the South (only 5) and we got the last slot (reserve early people!). My husband had to drive up super early to pick up the bouquets and bouts for our wedding party. It’s just an inconvenience. Other than that, we felt that we had a great experience with this business and would refer them to others. 70% of our brides have already referred other customers to us! 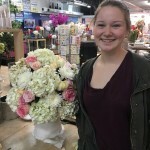 When you mix top quality fresh flowers, Wholesale pricing, great friendly service, make bride samples before their weddings to preview, and of course be totally flexible with them as some of them get very stressed out and make last-minute changes you must accommodate them to make them happy! We do this for all our brides! 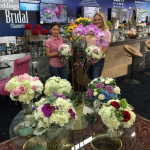 Last year with over 1000 brides as clients, we one wedding florist of the year 15 times in every single county in southern California! We hope we’ve earn your vote for this year and were recently notified by wedding wire that we’ve won for 2016! Maria your pictures are beautiful and your beautiful bride a great customer and we wish you all the best in your new marriage and best wishes in your new family! By the way you were a pleasure to work, the staff wants me to let you know that they totally enjoyed doing your wedding and everything was perfect! Thank you again. Wow! Where do I start I met Herbert and his amazing staff 3 years ago for my wedding and they have become a family! Herbert worked by my side through the whole process, answering all my panic questions and putting me at ease and making me feel comfortable every step of the way! I have continued to come to him for an amazing arrangement for all occasions ever since! They work fast, hard, and genuinely care about each customer that walks into their shop! Kelsey you are amazing a beautiful bride and a beautiful lady, every time you coming to the store you briten it up with your smile and your friendliness! So Nice to see so many of our brides from the past coming in and having another great experience with us. Came in for our wedding bouquets. Herbert did a beautiful job. He did exactly what we wanted and more. I’m absolutely I love with the design he did for my big day.. And my bridesmaids flowers are amazing as well. We strongly recommend 800 Rose Big!!! What a beautiful romantic kiss! Being in love is truly amazing experience when you have a beautiful Lady like this to kiss, Chris you’re a very lucky man, but you know that! I’m glad we had a chance to become friends and I like totally enjoyed meeting you! Anything you need anytime just call! Freddy 949 698 2014! My daughter recently got married at Marabella and 800 Rose big did a totally incredible job! Freddy really cares about his brides and he made sure that everything was delivered and set up perfectly and Even stayed longer to find me so that I could check everything and I made sure that I was pleased. My daughter really did her homework and checked out a lot about of local florist but over and over again when we went to the different venues we keep hearing about 800rosebig. So we went down to visit that the store was beautiful and huge and packed with beautiful wedding arrangements bouquets and centerpieces they were doing about 15 weddings they told us that weekend and they said that’s normal they do about 1000 weddings a year and they’re always super busy. 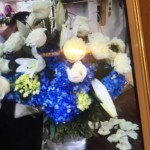 Immediately we saw the perfect bride bouquet and when we got the price for the order it was over $1200 less than the cheapest quote we got for the florist down the block! Needless to say everybody was so nice and friendly they did an amazing job and I would give them 10 stars if I could! I don’t also like to say that Herbert the head designer is a true artist and wonderful. 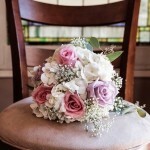 Yes we are much cheaper than all the other wedding florists! When you’ve done over 10,000 weddings, and Sometimes due over 20 in one week, we have the resources, staff, experience and inventory to handle any floral situation. This is really important especially brides and their moms has to know that the florist they choose for their wedding can’t handle any potential needs they may have easily and quickly. I don’t know why so many florists are not open seven days a week? If you have a bride getting married on Sunday, and you’re closed on Sundays, how is that going to work? Here we’re open seven days a week till 9 PM, we deliver seven days a week and we deliver weddings all the way from San Diego to Los Angeles even in Santa Barbara and of course all Riverside and Orange County including Palm Springs! Thank you for your kind words Best wishes on your fantastic marriage and all the wonderful wonderful children you have and grandchildren! First off, I’d like to thank Freddy and George for being a part of our special day! Also before my review, I’d like to say Big Thanks to George for everything! He’s my to go person and will always be back for other events or if I ever need flowers just because of him and his amazing personality!!!! Love Love him!!!!! We came in 800rosebig about a month before the wedding, just to browse. We were going to do a lot of the flowers DIY! My sister used to work at a florist and is very handy when it comes to arranging flowers. However, when talking to George, he was able to envision what I wanted and knew exactly how I like my flowers. I knew he was the one to go to. Pricings were very good but it was a bit out of our budget seeing that my sister can do it for such a lower price and free labor hahaha. As we walked out, Freddy were able to get some of his time off to talk to us about our arrangements and the pricings. We decided to go fourth with it. The only problem my husband and I had (but decided to still give 800rosebig a 5 star) was we had to come back a few times and there were a few misunderstandings. After finalizing everything and deciding to pay off our whole balance, we scheduled an appointment to come back for a pop in. Pop in day came and we came back, SUPER excited to see our floral arrangements. George werent there, he had to leave for an unfortunate event (sorry 🙁 George), Freddy werent there and there were only Herbert. He discussed with us again on the exact same thing George and i had already discussed. (finalizing everything and paying all the balance)… He said that pop in would have to be on the week of the wedding, for fresh flowers. How would we know that?! We were told to come back and we did! Got us all excited and then turned us down and tell us to come back the following week. We don’t live that close btw. anywho Pop in comes (the real one now) and George had to do a delivery and so Hubert were the one there. He did our arrangement and it was NOT what George and I had discussed. I was so upset and my husband wanted to lose it all! I was so close to asking for a refund! Thank god George came back!!! He explained everything and made the arrangements according to the way we had discussed. It was beaautiful!!! I loved it!!!!!! All that hassle were not necessary but it’s all good knowing that George was the one helping us out and saving the day!!! Nothing against Herbert, he just didn’t know what George, Freddy, my husband and I discussed about and so it wasn’t his fault at all; hence I kept that 5 star. Herbert did my wedding flowers Aug 7th and he did a Beautiful job with the designs and arrangements. 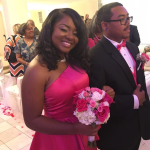 I got so many compliments and my ceremony and reception was breathtaking. If you are looking for a florist I recommend 800 roses big ask for Herbert he is the best he even made my granddaughter flower basket it was absolutely adorable. 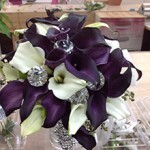 Herbert styled my wedding flowers, he and Freddy together consulted with me and Herbert delivered 110%!!! I am SUPER PICKY and my expectations were BEYOND met! Herbert is a very talented florist. I got all flowers and colors I asked for, Dahlias, Peonies, Cala Lilies, and open-faced roses. My bouqet was so beautiful I am going to have it preserved!! The garland for my rustic farm tables were absolutely perfect! 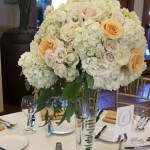 Guests were blown away on all of the flower arrangements and bouquets at our wedding on Sunday. We got SO many compliments! My husband Josh and I couldn’t be more grateful for the relationship and trust we built with Herbert and Freddy at RoseBig, the patience they had with me asking so many questions and taking visuals to ensure they had a good vision of what I wanted. George, thank you for my beautiful bridal shower arrangements, they were gorgeous! Thank you all so much, phenomenal customer service! We will continue to recommend 800RoseBig to everyone!